© Gordon Webster. 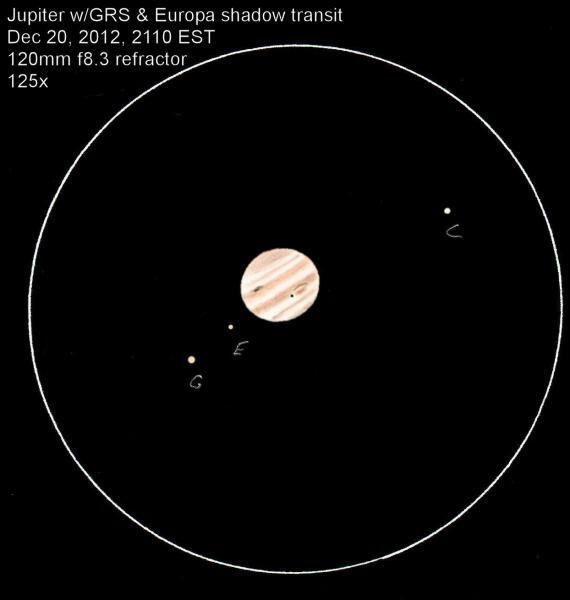 Europa shadow transit, 2012 December 20. 120mm f/8.3 refractor, at 125x. This sketch was the co-winner of the first RASC Astrosketchers' Contest.